Postgraduate Diplomas often provide education training in specialist disciplines and involve taught courses, although often a project may be included. The Postgraduate Diploma in Veterinary Science is a course of study open to graduates or those who have been able to demonstrate extensive practical, professional, or scholarly experience of an appropriate kind. It consists of a coherent programme of not less than one year full-time study (or its equivalent in part-time study). Courses or other work prescribed shall be at an advanced level that builds on attainment in the academic field of the prior degree. Massey University is ranked no.23 for our veterinary science programme in the Quacquarelli Symonds (QS) ranking. Dr Dittmer’s clinical experience covers large and small animal practice in New Zealand and the United Kingdom. She is a diplomate of the American College of Veterinary Pathologists and secretary of the New Zealand Society of Veterinary Pathology. Her expertise is in both anatomic and clinical pathology, with a particular interest in skeletal pathology, vitamin D and genetic diseases. Dr Dittmer’s specific research projects have included humeral fractures in dairy cows, vitamin D in horses, FGF23 in dogs, genetic diseases - including dwarfism (chondrodysplasia) in cattle and sheep, inherited rickets in sheep, and storage diseases in dogs . 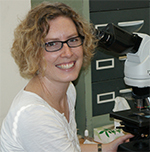 Her work has been published in internationally-significant journals such as Veterinary Pathology, PLOS One, and the New Zealand Veterinary Journal.